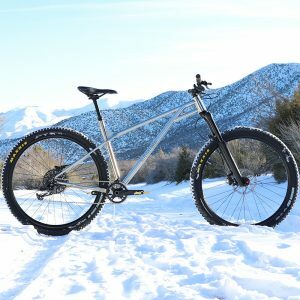 Built around a 140mm travel fork, the Adroit Tailwind is a trail bike that’s designed to last. 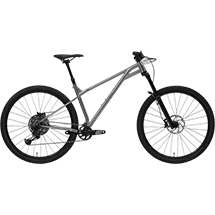 With sharp handling, refined geometry, stability, and short chainstays, the Tailwind is compliant yet power efficient. 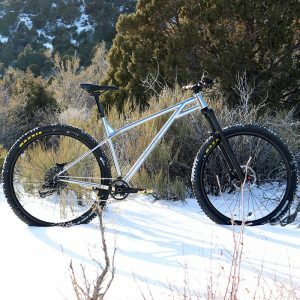 If you’re looking for a trail rig that will last you season after season, the Adroit Tailwind is unapologetically fast and surprisingly fun. Featuring a hollow core internal molding process and an ideal combination of carbon materials and design features, the Tailwind was created to be an incredibly durable and light chassis, with levels of stiffness and strength that are comparable to a downhill bike. A roomy cockpit with 65.5 deg head tube angle gives you space to maneuver on descents and technical sections, while 430mm chainstays feels stable yet handles quickly. Optional integrated eMTB pedal assist system system – Go further, ride harder, and conquer the toughest technical challenges with a 500w battery pack. User-replaceable Panasonic 18650 cells. 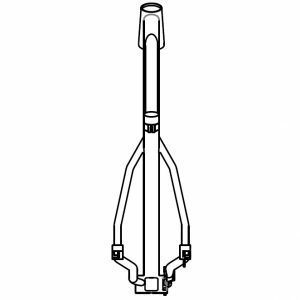 All Adroit frames and components are Designed and Assembled in the U. S. of A. The C5 build kit features a LT X11rs drivetrain, carbon fiber cockpit, and a GTM fork.